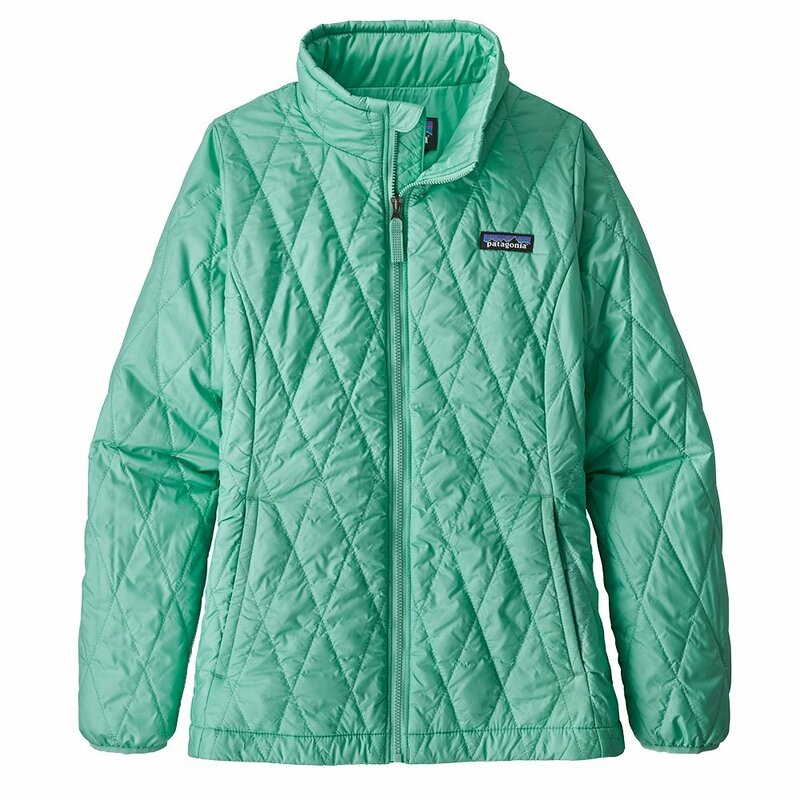 Huge warmth and performance in a smaller package, the Patagonia Nano Puff Jacket uses some of the latest technologies to keep her warm. The PrimaLoft® Gold Insulation Eco puts full warming power into a super lightweight package. Unlike down, it works in all types of weather - including the wet stuff. The windproof, DWR-coated shell fabric helps to keep that wet stuff from soaking through. The Nano Puff also includes dual handwarmer pockets, an inside chest pocket/stuff sack, and a drawcord hem.